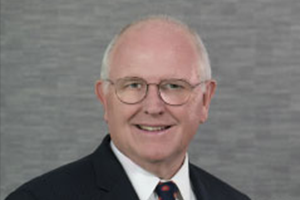 Jim Stuart started nearly four decades of legal work in the housing and insurance representing the North Carolina Home Builders Association and the North Carolina Housing Finance Agency. His work and leadership in representing the NCHBA as general counsel and principal lobbyist led to the 1984 creation of what is today known as Builders Mutual Insurance Company, currently operating in numerous southeastern states and the District of Columbia. Builders Mutual is one of the largest workers’ compensation insurers in North Carolina. Jim’s 13 years of service to the NCHFA and the closing of over $2 billion in housing transactions has earned him recognition as a housing finance practitioner on a national level. Jim has assisted the organizers of several insurance companies and now the firm serves three companies as General Counsel. He continues to lead Stuart Law’s transactional housing clients through the minefields of the current housing economic landscape, serving as developer’s counsel, lender’s counsel, and syndicator’s counsel, utilizing the Low-Income Housing Tax Credit; HUD & Rural Development Programs and other government incentives. He was formerly bond counsel for Durham County, and has represented public housing authorities in North and South Carolina in developing and financing affordable housing. Before entering the private practice of law, Jim served on the professional staffs of the United States Senate Judiciary Subcommittee on Separation of Powers and the Judiciary Subcommittee on Constitutional Rights. He also served as Assistant Attorney General in the North Carolina Department of Justice concentrating in environmental litigation and legislative lobbying. Jim has used his professional training and experience to better his community. His professional relationships in the affordable housing industry have led him to serve on the Board of Directors of the Triangle Housing Investment Corporation, an organization formed by the mayors of Raleigh, Durham and Chapel Hill to promote and finance affordable housing in the three communities. In addition, he and his wife and law partner, Cathy, have devoted time and resources to Habitat for Humanity. His active involvement as a member of Highland United Methodist Church has included supporting the construction of several Habitat houses. As a lifetime sports enthusiast, he maintains close ties with his alma mater, Duke University, fueled by both his participation as a college athlete and his representation of college coaches and professional football players. In addition, Jim previously served the State of North Carolina as a Governor’s appointee to the Sports Development Commission, which promoted the hosting of major sporting events, such as the U.S. Open Golf Championship, in North Carolina. He and Cathy actively support academic programs at Duke and the University of North Carolina at Chapel Hill. Jim formerly served as a member of the Board of Visitors, Pratt School of Engineering at Duke University for eight years.